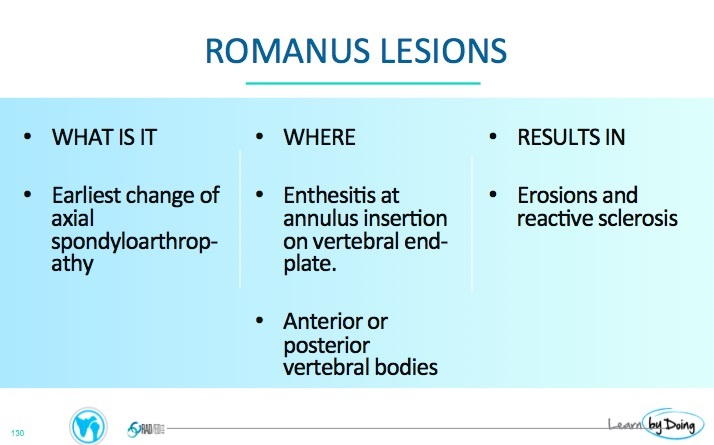 The Romanus lesion is one of the earliest signs in the spine of inflammatory spondyloarthritis. 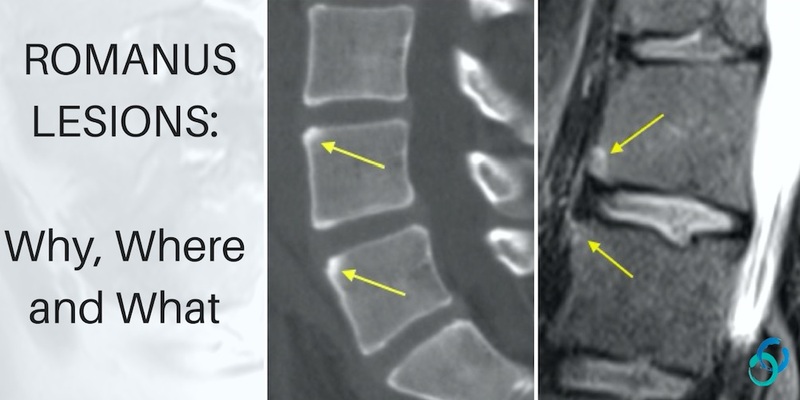 It represents inflammatory changes at the insertion of the annulus of the disc to the endplate and is an enthesitis. It is more often seen anteriorly but can also be posterior or a combination of both. 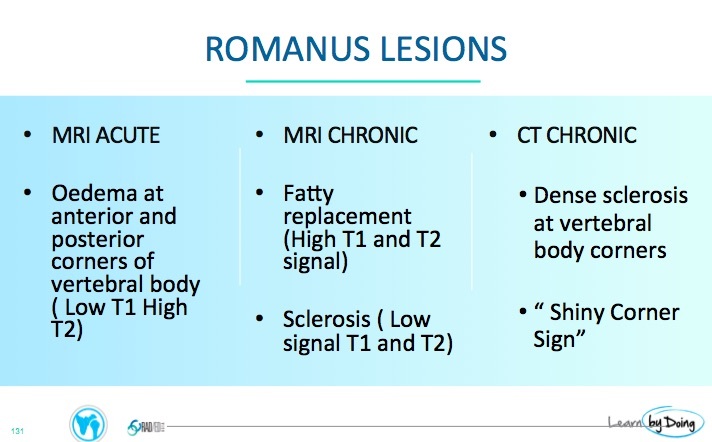 The changes seen are progressive, beginning with acute inflammatory change and erosion at the vertebral body corners ( low T1 and high T2 signal), followed by Fatty replacement ( high T1 and T2 signal) and eventually sclerosis ( low T1 and T2). 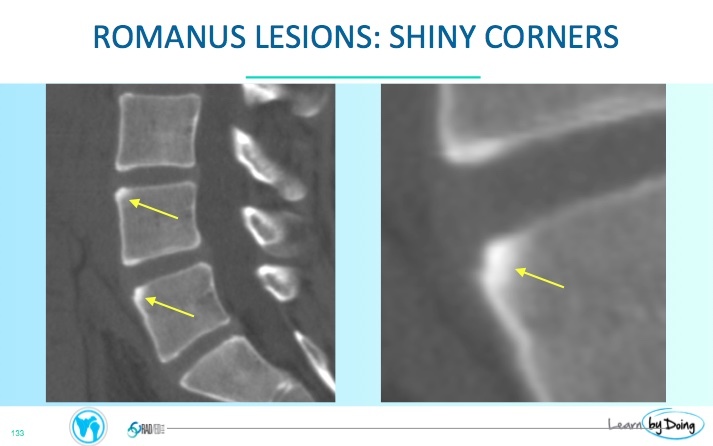 On CT its the later stages that are seen with sclerosis at the corners (Shiny Corner Sign). 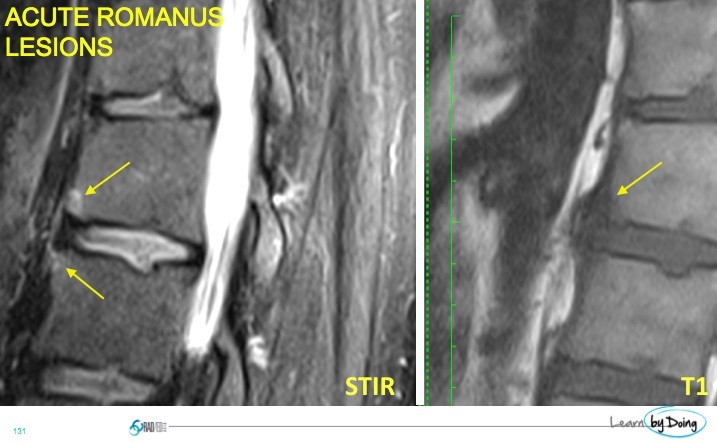 Image Above: Acute Romanus lesion with oedema ( yellow arrows) at the anterior corners high signal STIR and low signal T1. 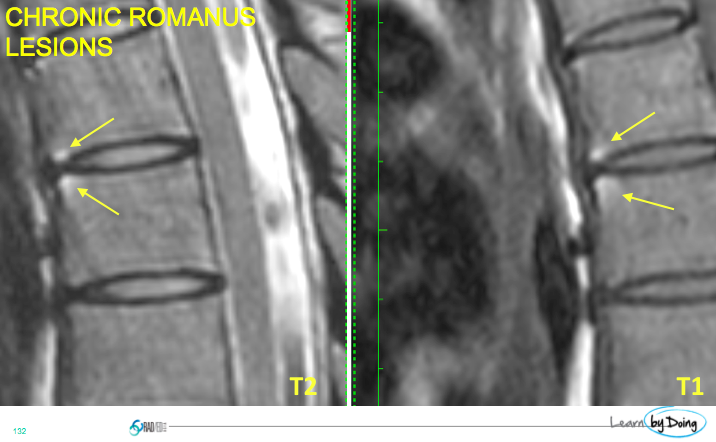 Image Above: Chronic Romanus lesion with fatty change ( yellow arrows) at the anterior corners high signal T2 and T1. Image above: Chronic Romanus lesion with sclerosis ( yellow arrows) at anterior corners of endplate.